There is a popular idiom out there that reads a picture is worth a thousand words. 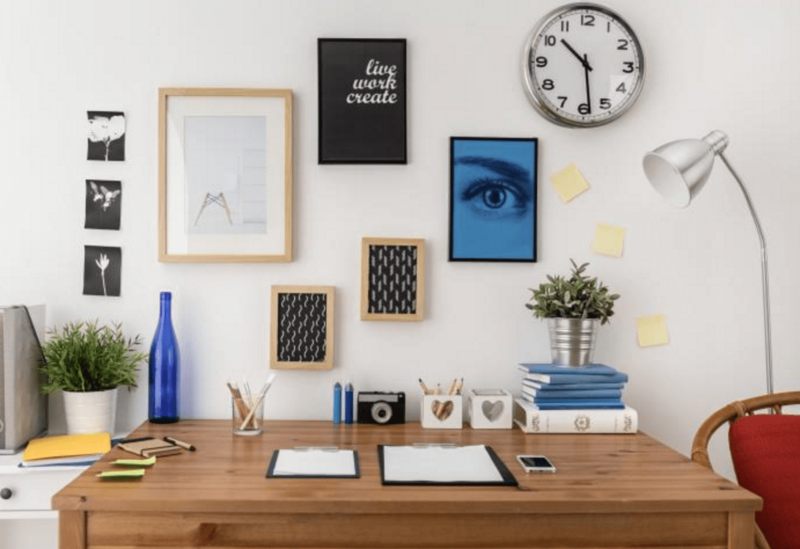 To workers in corporate office environments, the addition of office artwork is not just there for decoration but can be attributed to boosting company morale, telling your company’s story, and specifying certain departments within the organization. The right corporate artwork can greatly enhance your office environment. Corporate artwork is much more than just aesthetic drawings and a conversation starter. The right selection instantly relieves stress in the workplace and increases production, creativity and worker’s attitudes. When you work in an office environment with captive office artwork, more effective ideas can be generated and instant gratification and happiness will become contagious. Even though there are several motivational advantages to corporate artwork, there is also the additional benefit of correctly conveying your company’s message. Branding is a very important term to use here. While traditional marketing materials like press releases, newsletters, company brochures and other communication pieces are effectively created and distributed to clients, selecting artwork that delivers company standards and history makes the perfect and right impression. If you are looking for a way to better distinguish between different departments in your organization, the placement of corporate artwork can accurately depict between different departments and areas of the building. For instance, more subtle and calming pieces may surround the accounting department and receptionist area of the business whereas more creative and unique office artwork may cover the walls of the marketing and creative sector. It is important that your company reaps each and every benefit corporate artwork can bring. Whether you are remodeling your building, renovating offices, decorating blank spaces, or looking for an alternative way to motivate workers, the right corporate artwork is a crucial piece to the overall design, development and productivity of your office. While many think artwork has to be costly, most people do not realize office artwork can be inexpensive. The correct colors, designs and location can make your office a welcoming habitat to employees, current and potential clients and other visitors. Want to get started with Mark Downs? Search our website for furniture pieces or stop into our showroom, located conveniently in Cockeysville. Have a specific question? Call us today at 410-771-6800 to speak to a trained staff member. Follow Mark Downs Office Furniture today on Pinterest, Facebook, LinkedIn, and Twitter. This entry was posted on Friday, November 27th, 2015 at 7:14 pm. Both comments and pings are currently closed.